Dining table in white oiled solid oak, L240 x W95 x H74 cm. SM40 dining chair with Remix 233 khaki fabric and in white oiled oak,L46 x W61 x H86 cm. SM88 sideboard in white oiled oak, L190 x W47 x H87 cm. HANGING flower pot holders in antique silver, 6 pieces in a row, L230 cm. 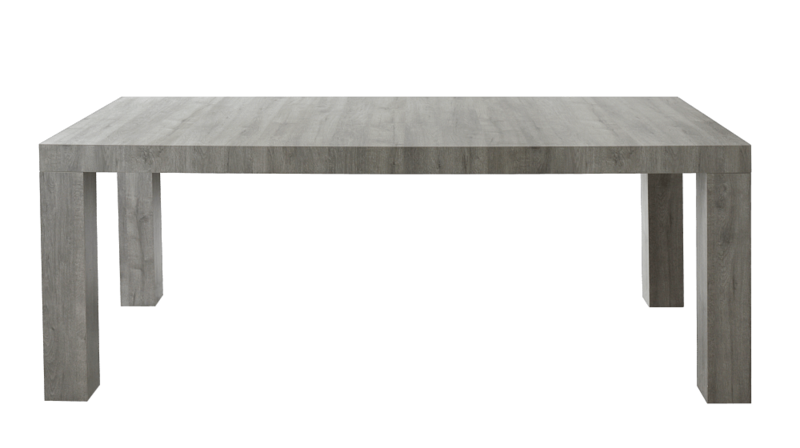 Dining table with brown marble top and grey sculpturel base L200 x W104 x H77 cm. ORSO dining chair with brown velvet and legs in oak with gold cap, designed by Jørgen Mensen, L49 x W53 x H85 cm. COMPACT Range in wengé. 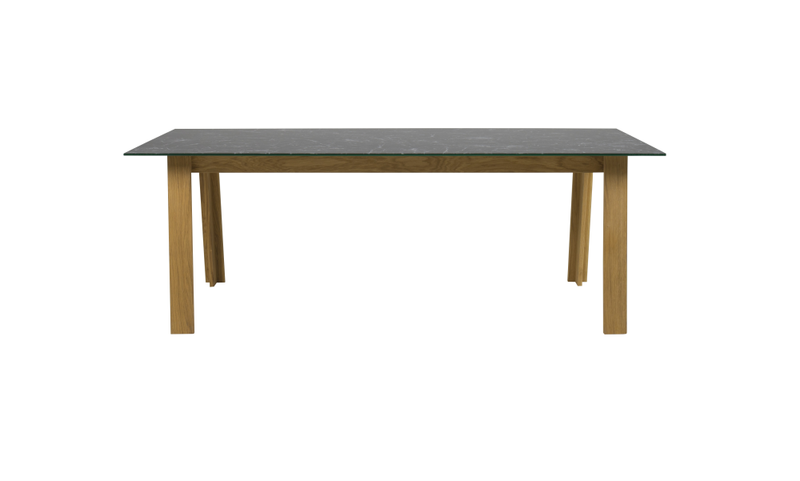 COMPACT Dining table L225 x W100 x H76 cm. 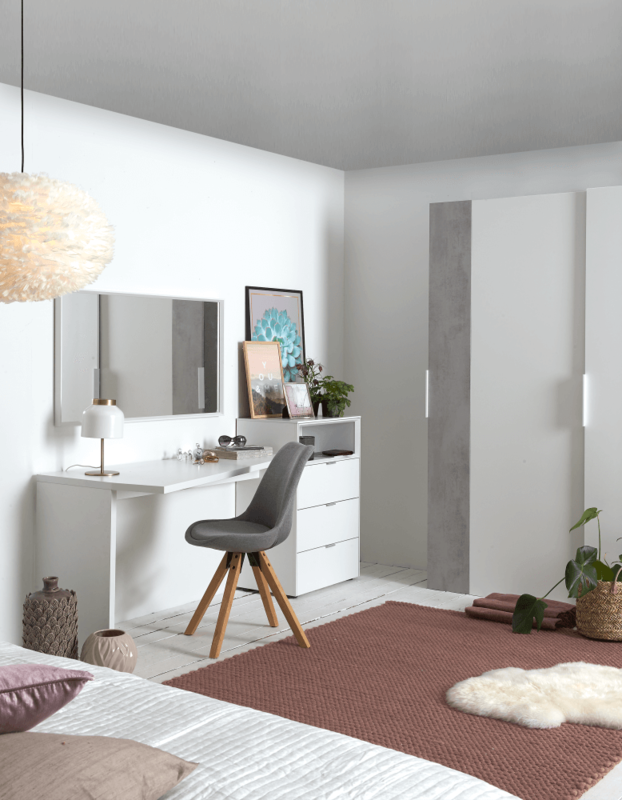 COMPACT Sideboard with 3 doors, anthracite/ wengé, L184 x W51 x H90 cm. 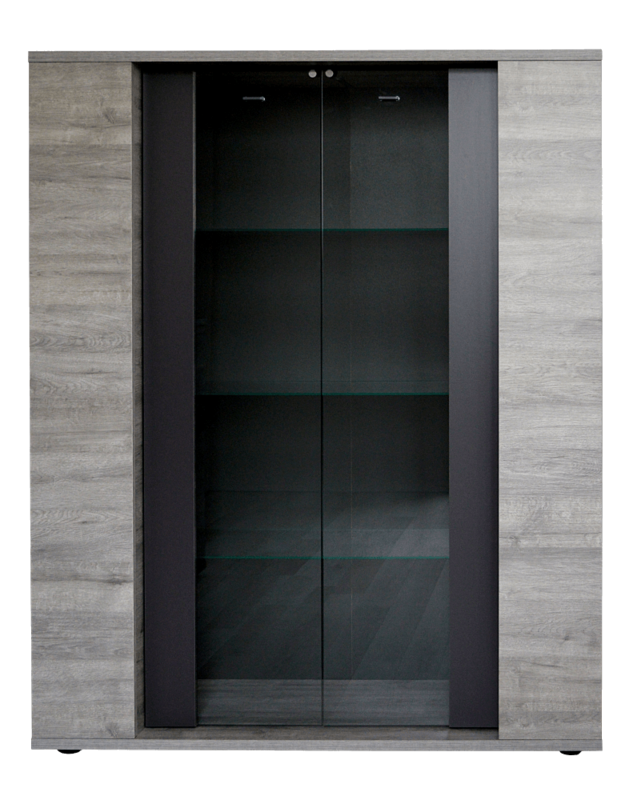 COMPACT Vitrine with 6 glass doors in anthracite / wengé, L123 x W51 x H195 cm. ROMBO dining chair in vintage grey artificial leather and black legs. 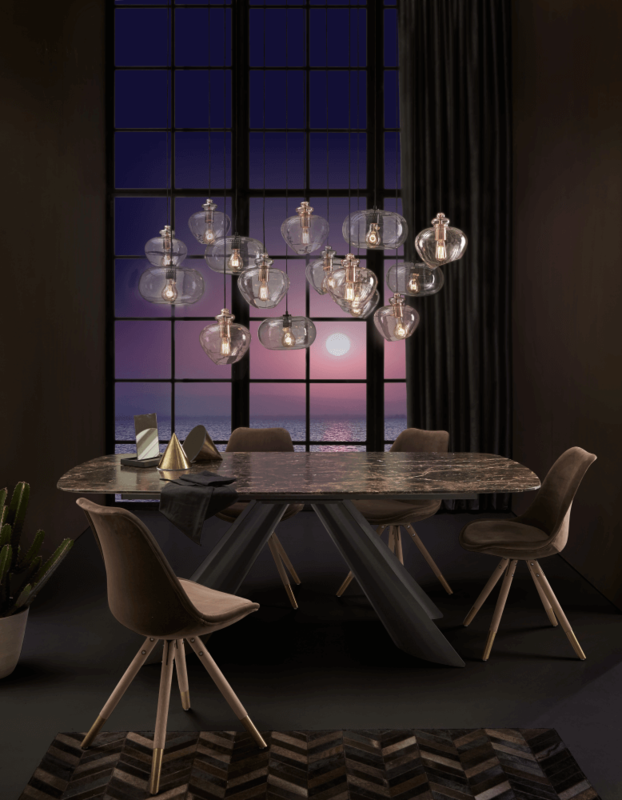 Dining table with glass top, with black marble print, oa legs, L210 x W90 x H73 cm. 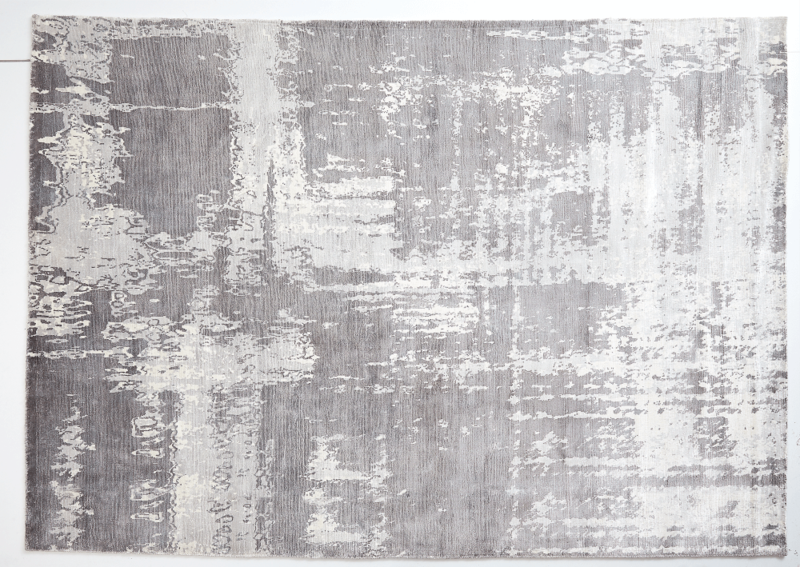 Handtufted rug in wool and viscose L240 x W 170 cm. 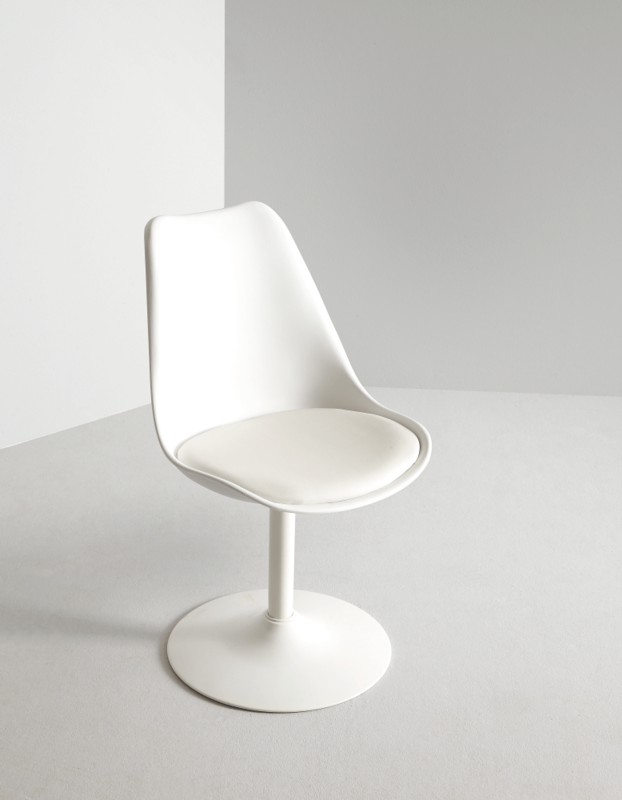 Ddining chair in white with PP seat and PU cushion, metal tube with powder coating, swirvel function, L49 x W55 x H83 cm. 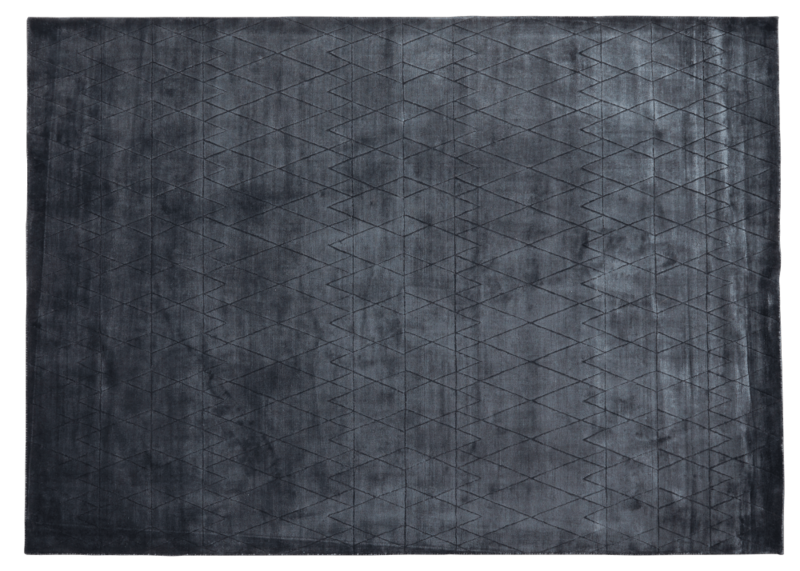 Rug in viscose, L240 x W170 cm. 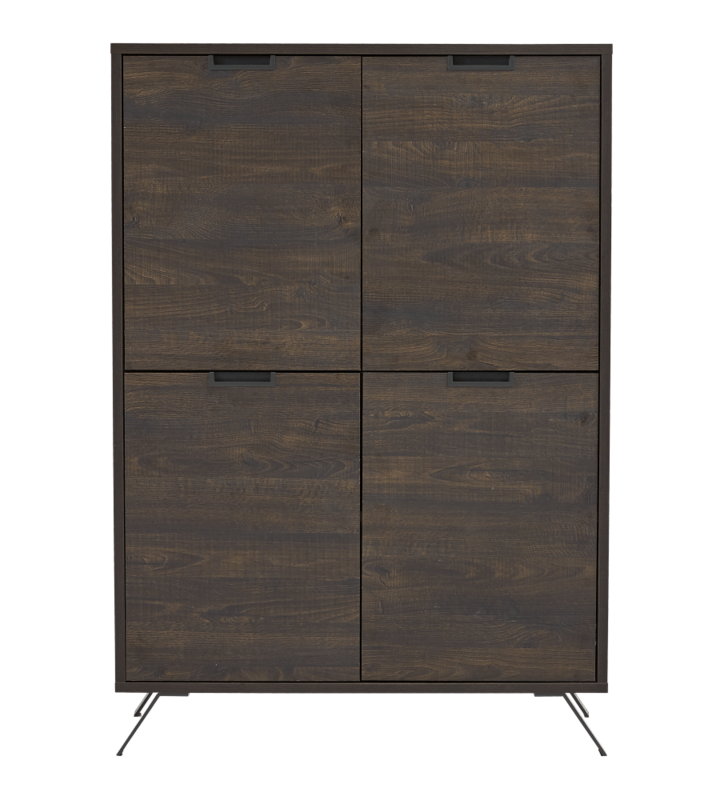 Wardrobe, get-in, L302 x W67 x H213 cm. SCALE / GAMBLE dresser table in white/white, L200 x W70 x H92 cm. DIMA dining chair in Corsica fabric color light grey 40, legs in rubber wood, L44 x W42 x H85 cm. 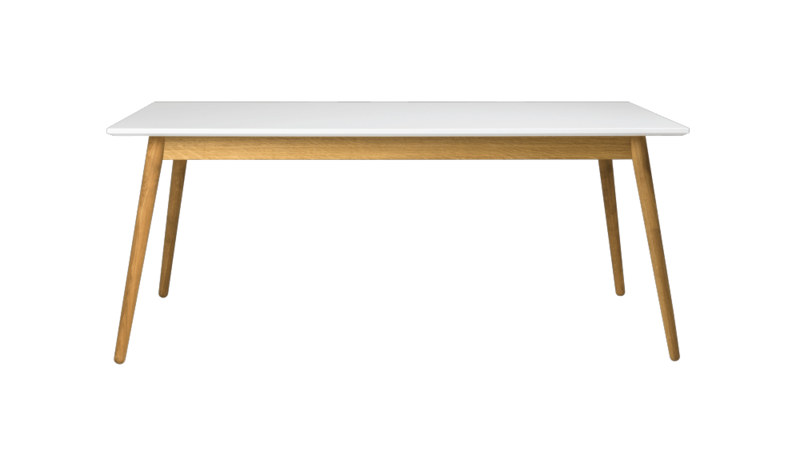 Dining table with white top and oak legs, L 210 – 270 x W95 x H75 cm. Dining table in smoked oak dark oil, L200-300 x W110 x H76 cm. 6220 bench in smoked oak dark oil, L220 x W60 x H45 cm. FLAIRE dining chair in black leather with white stitchings,black legs, L58 x W51 cm. MANDY pouf in velvet color mossgreen, D100 x H40 cm. 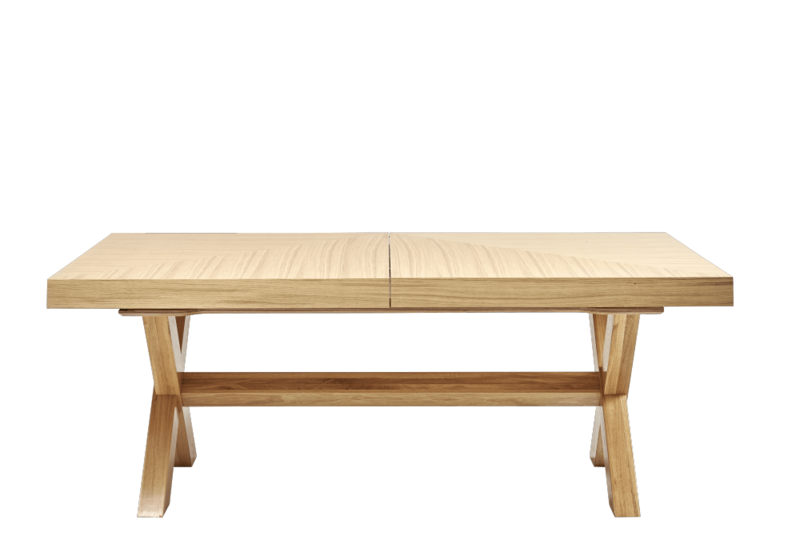 Dining table in oak veneer, clear lacquered, L200 – 300 x W110 cm. Dining table with metal legs, L189 x W88 x H78 cm. Dining table with veneered table top in stained acacia brown, lacquered matt black metal base, L230 x W100 x H77 cm. EMBRACE dining chair in grey fabric, with oak legs, L57 x W46 x H89 cm. 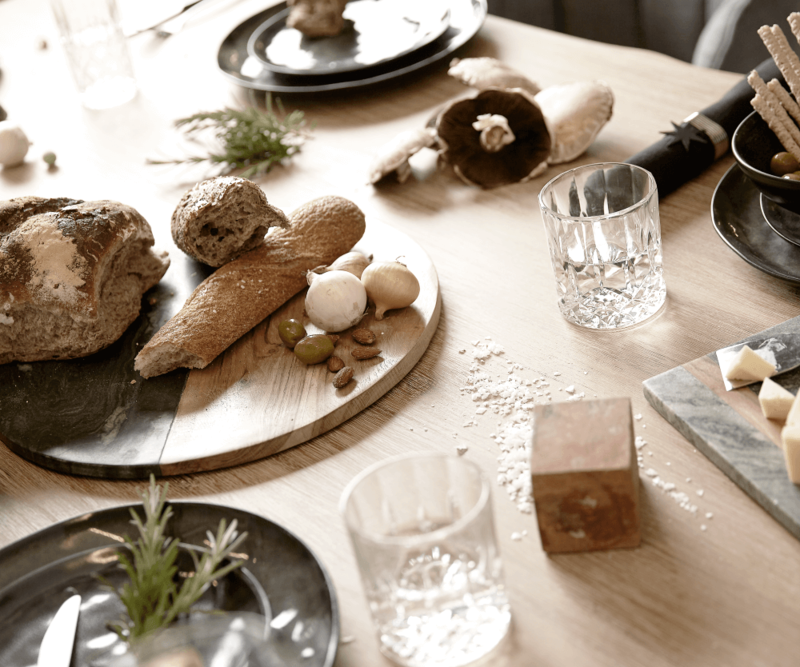 HARVEY drinking glass with facets, 31 cl.. NJORD dinner set in black stoneware. JEN round cutting board in black marble and acacia wood, D30 or D35 cm. HARVEY drinking glass with facets, 31 cl, set of 2 in gift box. 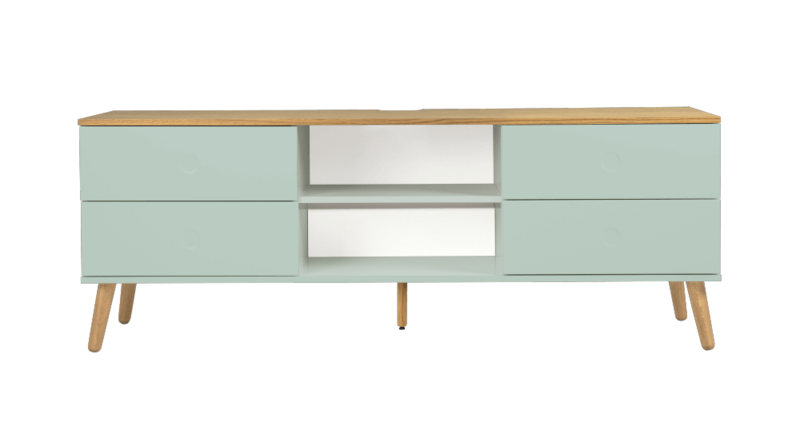 Sideboard with 1 door and 3 drawers, L109 x W43 x H79 cm. 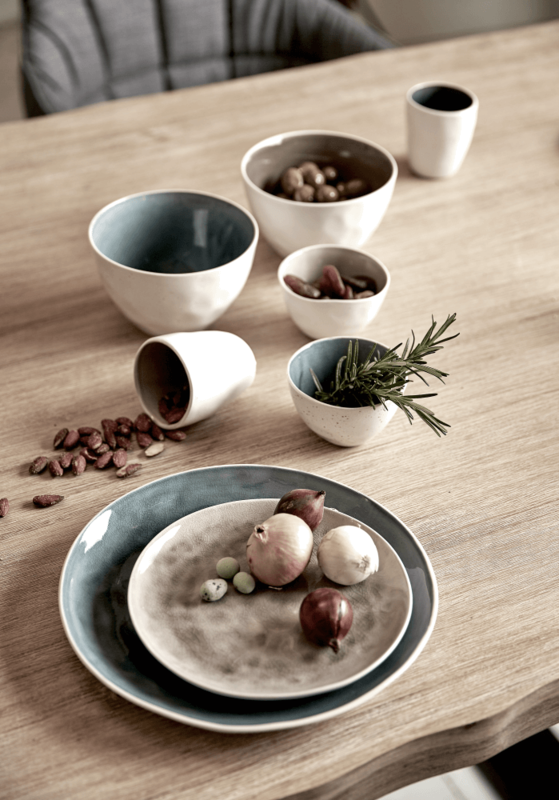 Dinner set with glace in purple, blue, grey or green, dinner plate D27 cm, lunch plate D21 cm, mug H9 cm, small bowl H6 cm, medium bowl H9 cm, large bowl H23 cm, cereal bowl D17 cm. FRIDA barstool in Darin fabric color dark grey 7,L47 x W44,5 x H96,5 cm. 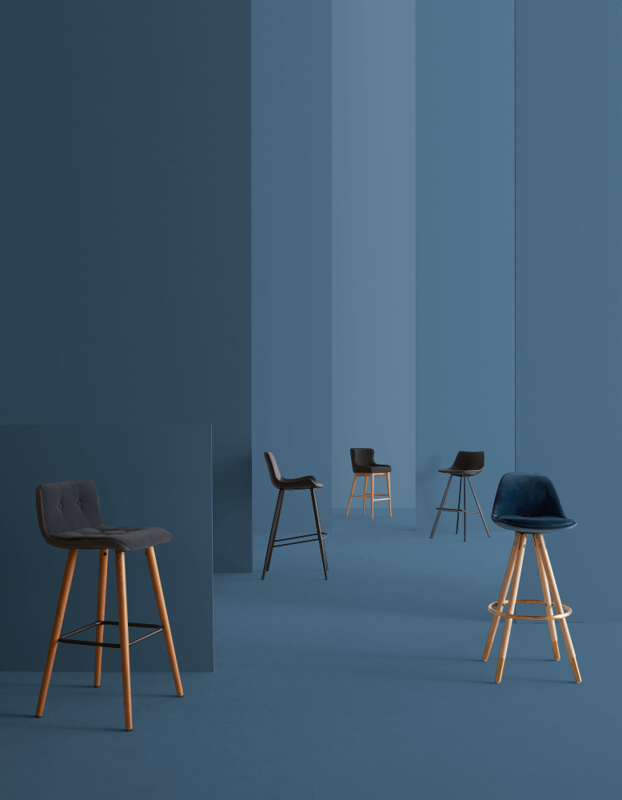 ORSO barstool in petrol velvet, wooden legs and brass caps + ring,L41 x W41 x H96 cm. HYPE barstool in black art, leather and black legs, L49 x W39 x H102 cm. PITCH barstool in black artificial leather with black legs, designed by Jørgen Mensen, L46x W61 x H86 cm. 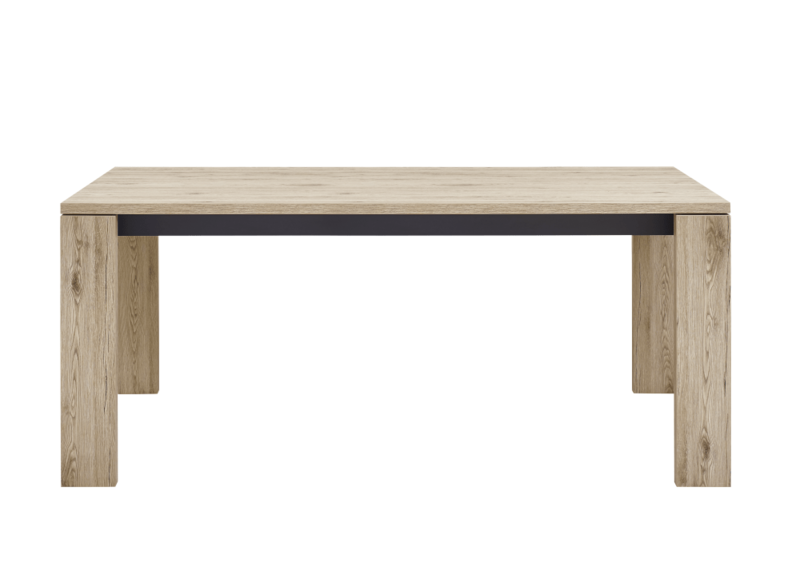 Extendable dining table in oak, sand, L180 – 264 x W95 x H76 cm. 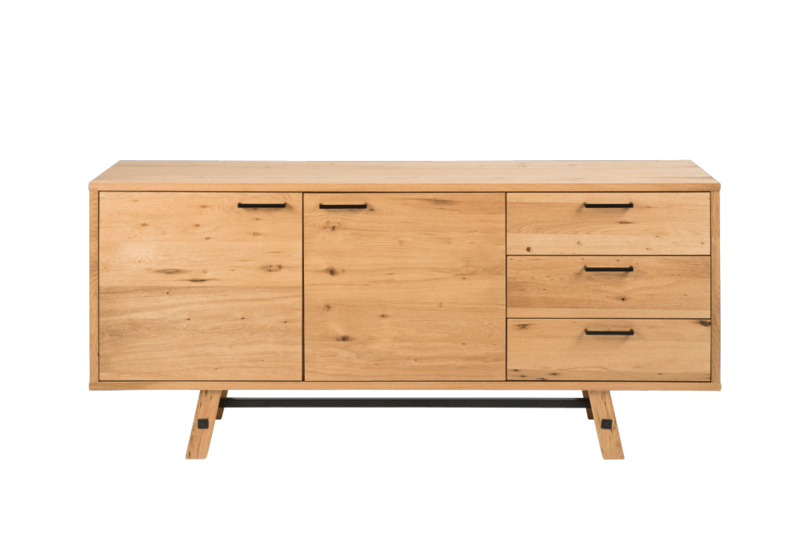 Sideboard with 3 doors and 3 drawers, L109 x W43 x H137 cm. 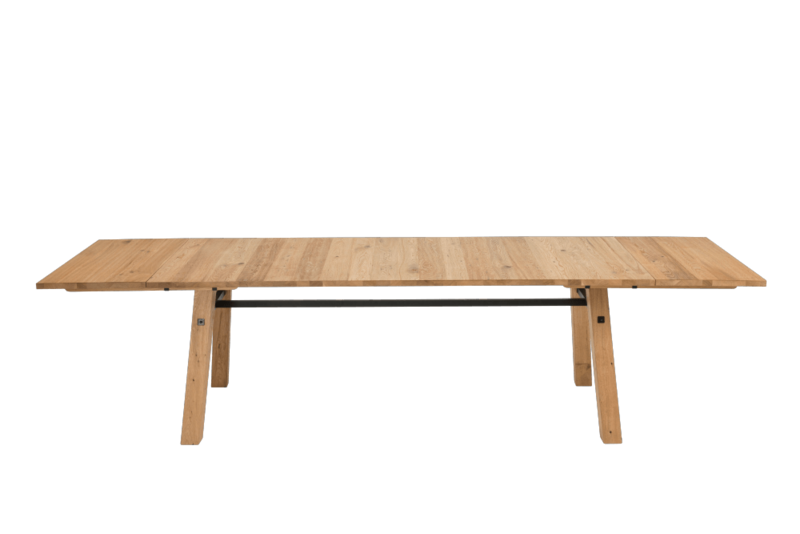 DOT dining table L180 x W90 cm. 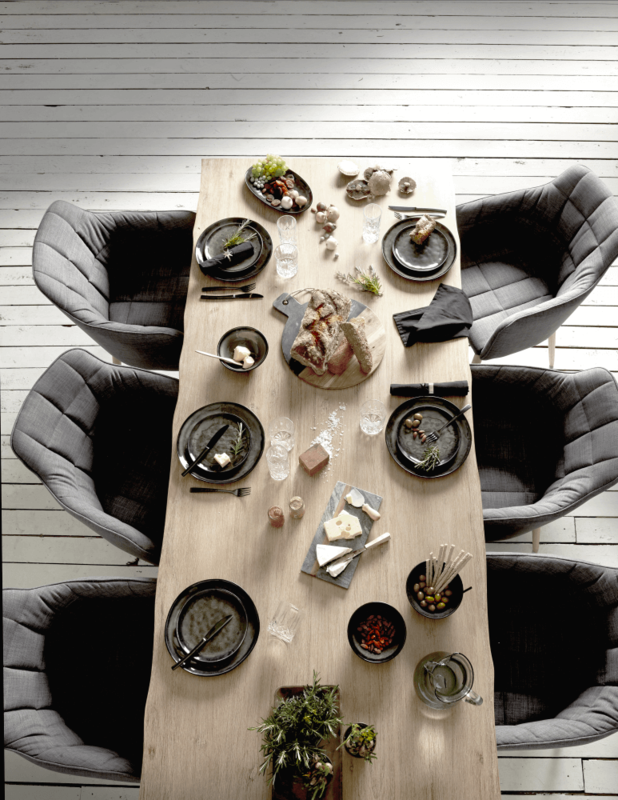 Dining table in concrete melamine on top extension and legs in pure black, L200 - 250 x W100 x H76 cm. 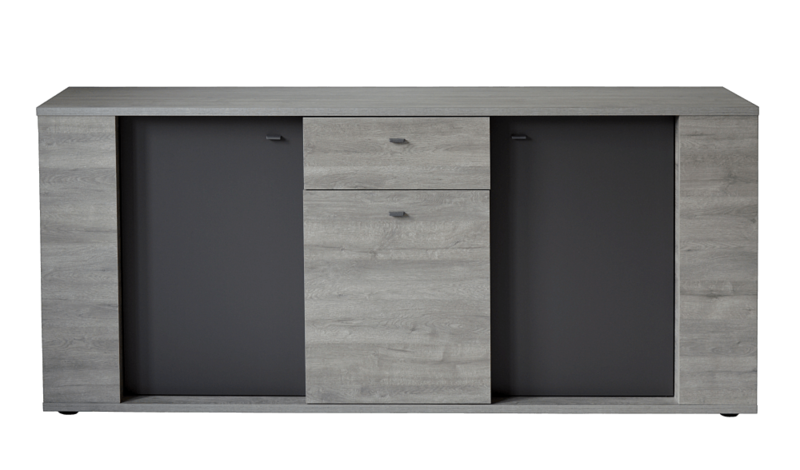 KOBE sideboard in concrete melamine on structure and pure black on doors, L188 x W45 x H79 cm. 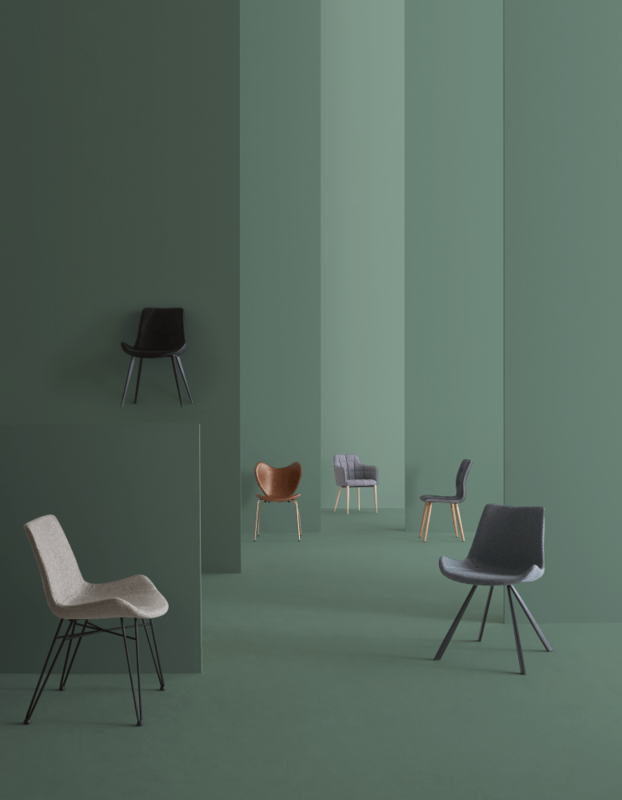 HYPE dining chair in dark grey farbric, with black threadlegs, L52 x W58 x H80 cm. 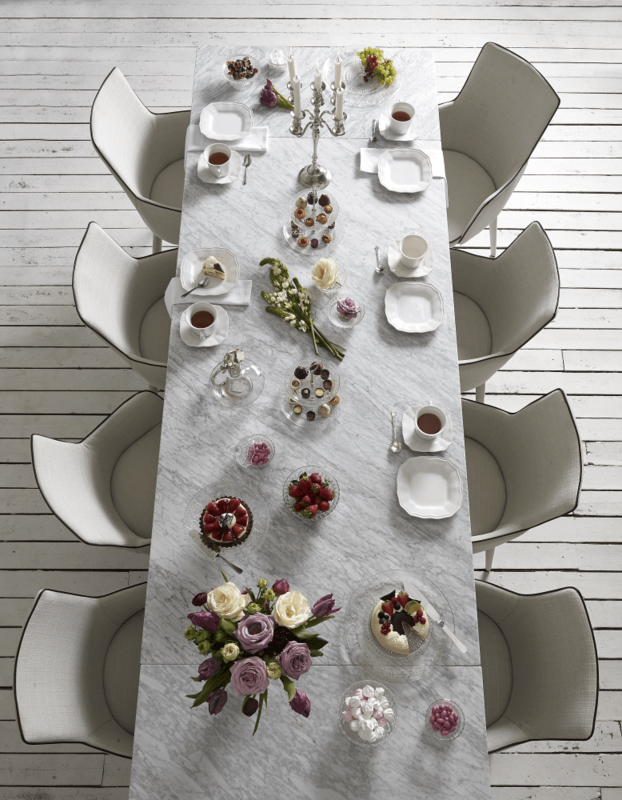 Dining table with white marble top and white lacquered sculptural metal legs, L200-300 x W100 x H77 cm. MARS dining chair with armrest, crème colored fabric with black piping, L50 x W50 x H90 cm. TV bench 137 cm including lamp, L137 x W43 x H45 cm. 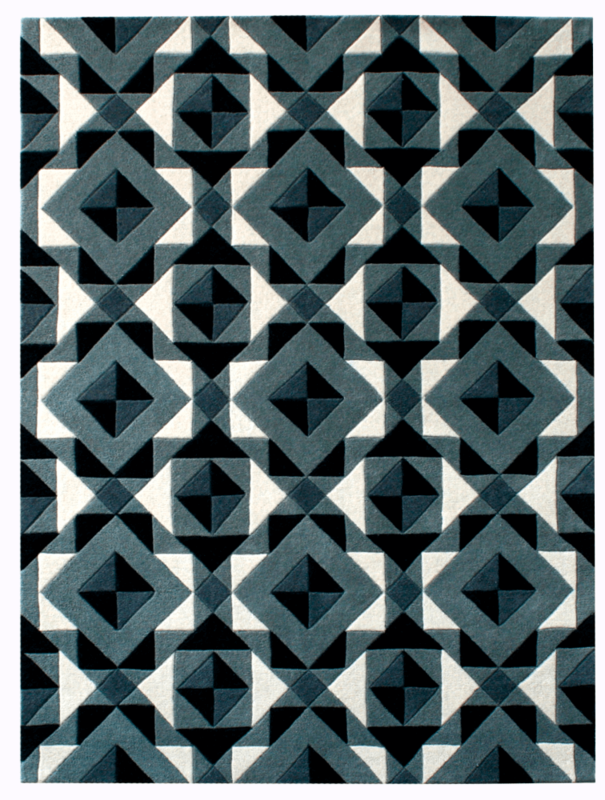 Hand tufted rug in 100 % wool, blue graphic design, L240 x W170 cm. 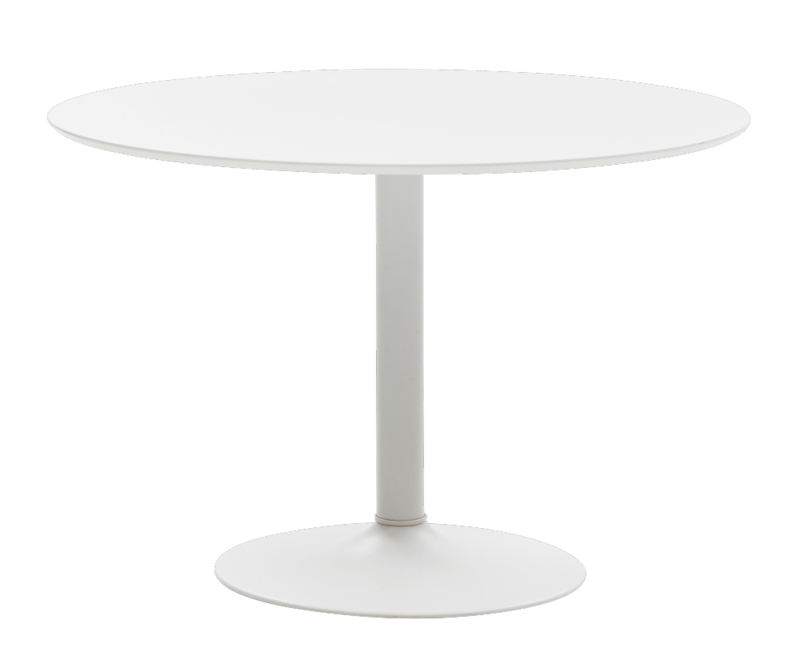 Dining table in white, D110 x H74 cm. HYPE dining chair in light grey fabric, with black thread legs L52 x W58 x H80 cm. HYPE dining chair in dark grey fabric, with black legs,L52 x W58 x H80 cm. 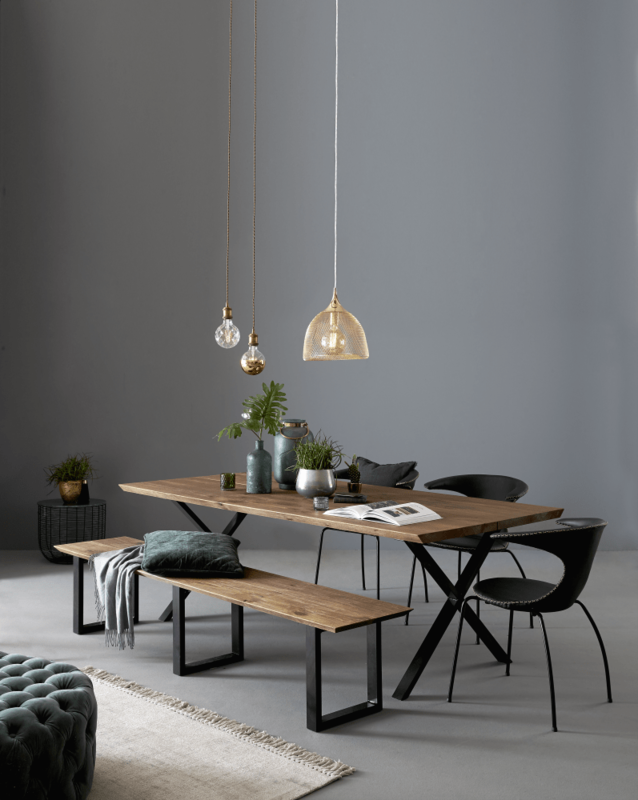 FRIDA dining chair with seat in dark grey no 7 and side in light grey buttons in dark grey, base in oiled solid oak, L55,5 x W43 x H88 cm.EMBRACE dining chair in grey, with legs in oak,L57 x W46x H89 cm. PALMA highboard, L106 x W50 x H152 cm. 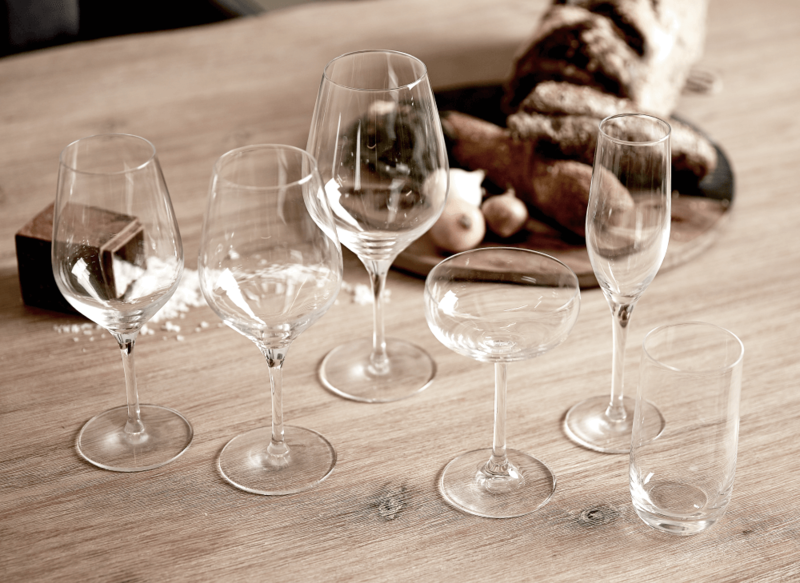 PASSION glass in crystal, white wine glass 42 cl, red wine glass 48 cl, Bourgogne glass 64 cl, champagne glass 17 cl, water glass 31 cl. COLOR low champagne glass 23 cl. 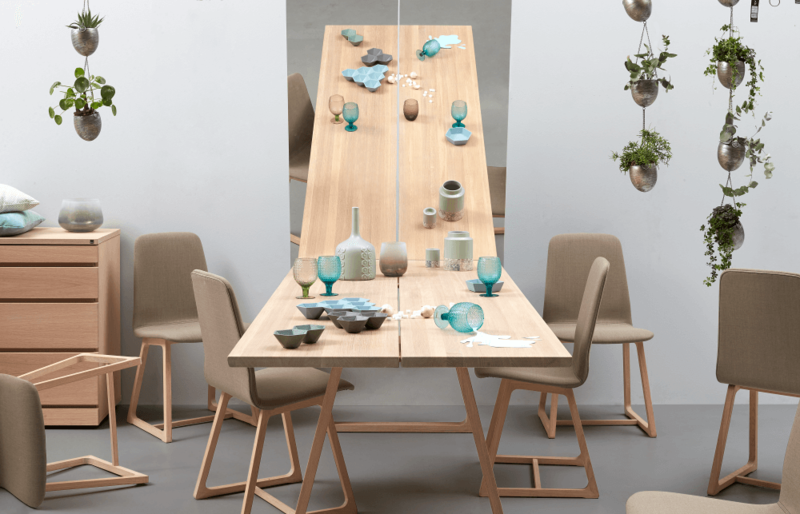 Dining table with extension leafs L210 - 300 x W95 x H75 cm. PALMA sideboard,small, L207 x W50 x H65 cm. 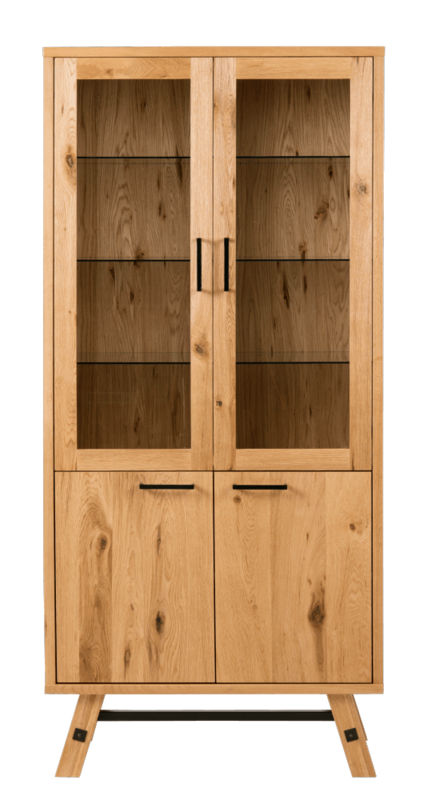 Glasscabinet with 2 doors and 2 drawers, L79 x W43 x H178 cm. Dining table L220 x W100 x H79 cm. 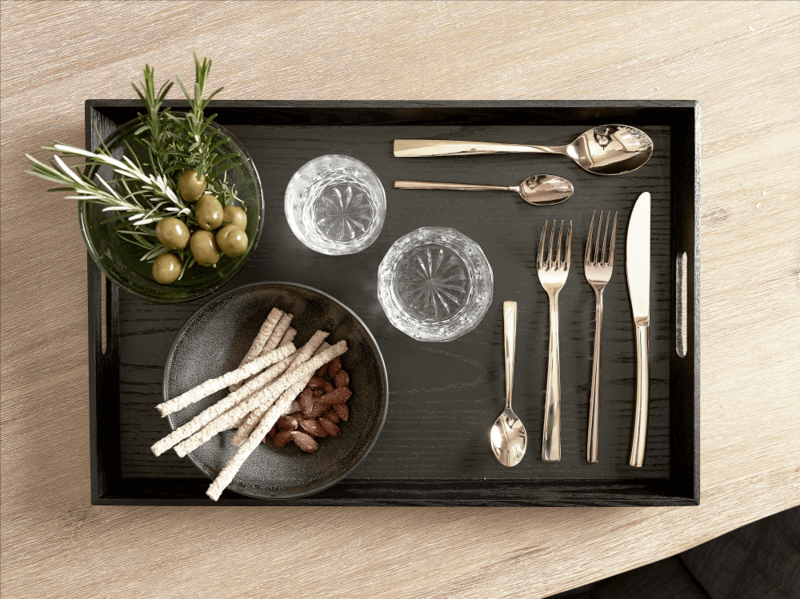 BESA tray in black wood, L48 cm. PASSION cutlery in 24 carat gold. ERGO cutlery in cobber. TV bench with 4 drawers, L162 x W43 x H60 cm. Dining table in polycarbonate / glass, color clear, L180 x W90 cm, more colors available. BELLE EPOQUE dining chair in polycarbonate, in color clear, L55 x W52,5 x H97 cm, more colors available. 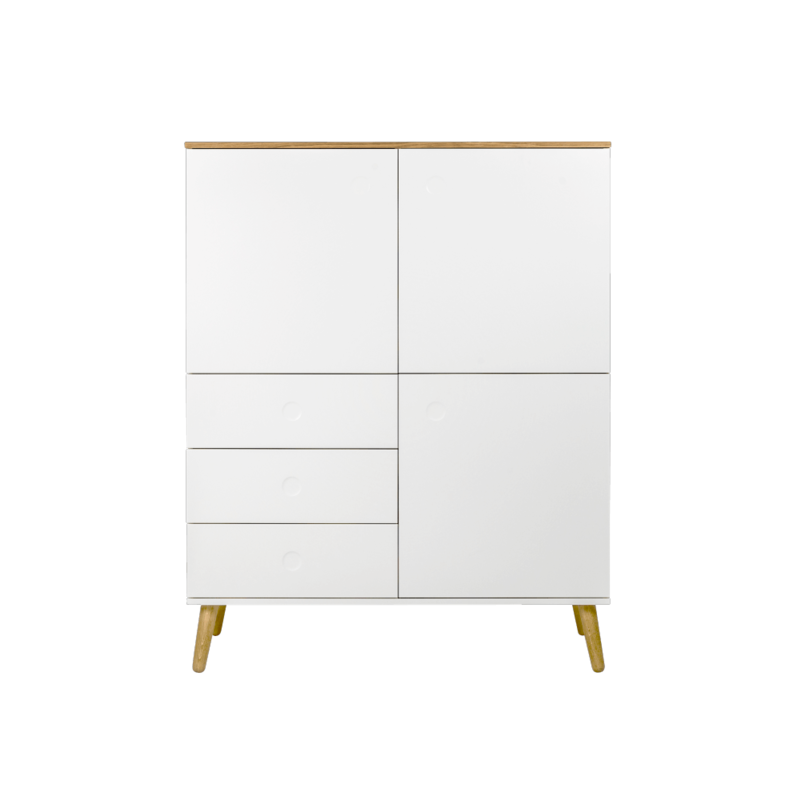 Dresser in lacquered pure white, designed by Ricardo Marcal, W145 x D40 x H82 cm. OVAL dining chair in fabric Seven color blue 224/05, L49 x W63 x H98 cm. 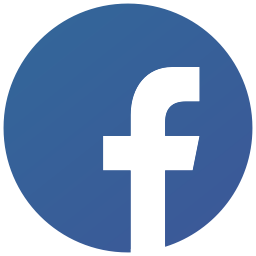 DIAMOND mirror, H120 cm. ABIGAIL crystal lamp with white pleated shade. Highboard L86 X W43 x H185 cm. 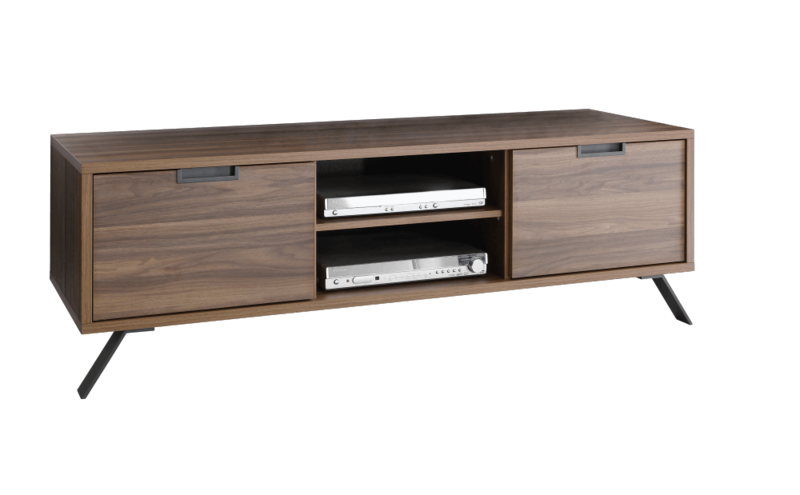 TV bench 190 cm including lamp, L190 x W43 x H45 cm. 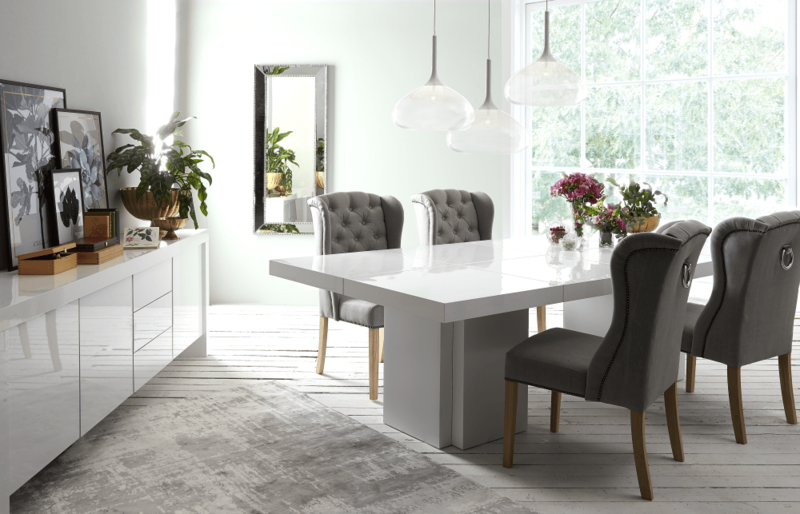 Dining table in lacquered high gloss white on top and pure white on legs,L262 x W130 x H75 cm. 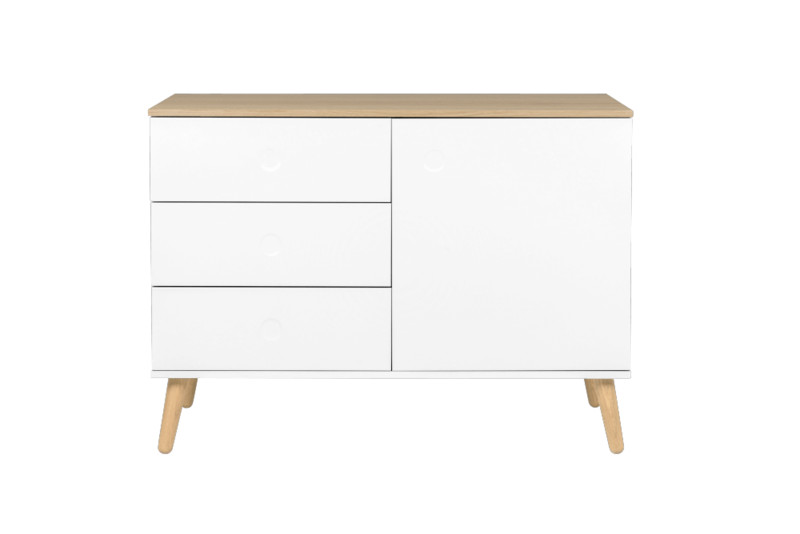 KOBE sideboard in high gloss white, with 3 doors and 3 drawers, L245 x W45 x H79 cm. RANDI dining chair with studs in Luis fabric color grey L58 x W73 x H104 cm. COOPER pendant in white transparent glass, D45 cm. 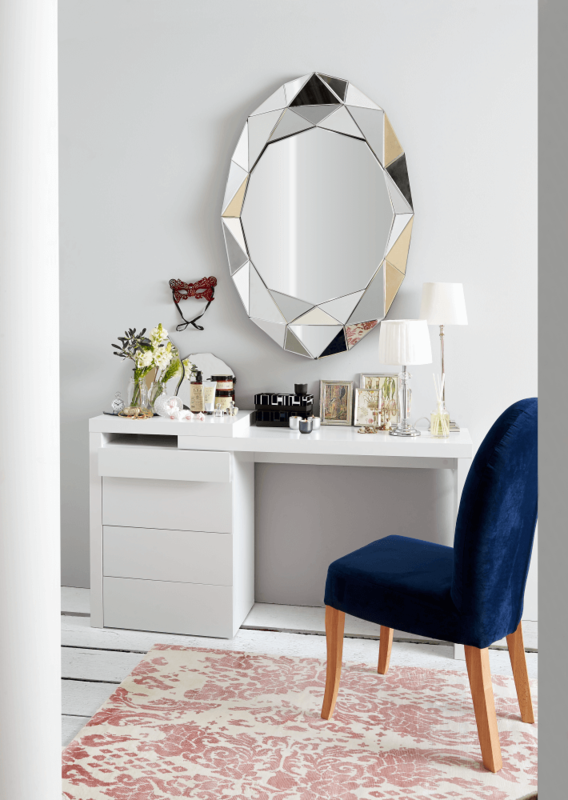 MIRROR with silver frame and crystal rim, W60 x H140 cm. 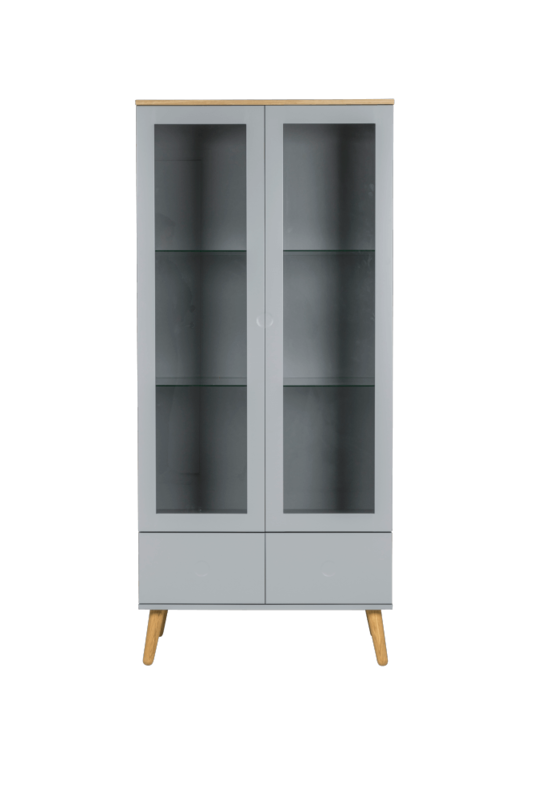 STOCKHOLM Glass cabinet L85 x W40 x H187 cm.